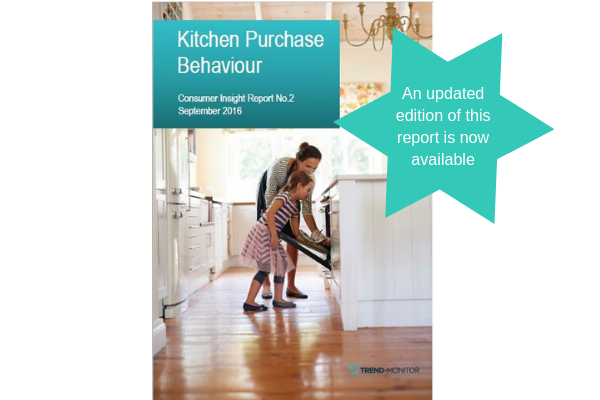 This consumer insight report looks at the motivating factors behind the decision to purchase a new kitchen, investigating multi-family households, the ageing demographic, flexible working conditions, the space available, even the TV programmes we watch, to understand how these influence the way in which we use our kitchen space. 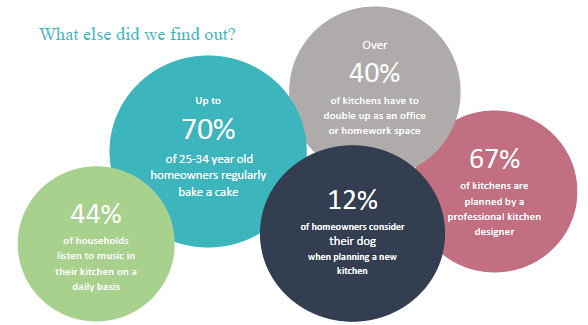 This research takes a step back and starts from before the actual purchase process in order to explore the way UK homeowners use their kitchens; how they cook, shop for groceries, socialise and relax. It investigates how family circumstances and household demographics, multi-functional space issues and emerging smart technologies can impact on how kitchens are planned and which products are purchased. The results of this research have enabled us to produce 6 different kitchen consumer profiles, which will aid manufacturers and retailers of kitchen products in identifying their target market and creating a structured approach to product development and marketing communications. The report gives a fascinating insight into people’s diverse requirements for their individual kitchens and highlight a number of opportunities for innovation and growth for kitchen product brands. Kitchens are not as social as we would like with homeowners complaining that their new kitchens don’t provide enough space to entertain. Although the smart kitchen is a trend that has grown significantly over the past 3 years, many homeowners are still failing to understand how the technology will work in their own homes. Can I access the report immediately? Non-Insight Partners - purchasing a report with a credit or debit card through the online store will enable you to have instant access to the report. Is there a discount for multiple report purchases? Click on the 'Direct bank transfer' option at the checkout to pay by bank transfer. Note: Access to the report(s) will be on receipt of payment and some online discounts may not apply. No. Our reports give a comprehensive insight into consumer behaviours and as such are structured to be read as complete reports, therefore we do not offer the separate sections as individual purchases. Please be sure to read all available information about a report before you place your order. You can also download an excerpt of the report you are interested in prior to purchase. Due to the nature of the information being sold, we unfortunately cannot accept returns of individual reports once they have been delivered or downloaded. Please see more information about our refund policy.